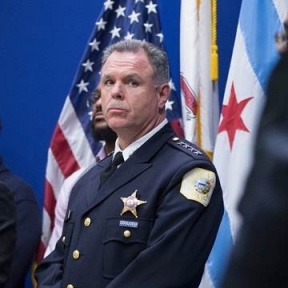 Superintendent Garry McCarthy announced his resignation on Tuesday at a press conference aside Mayor Rahm Emanuel who pressed for McCarthy’s decision. The announcement came after days of protests around Chicago over the death of Laquan McDonald, a black 17 year-old who was fatally shot 16 times by Police Officer Jason Van Dyke. 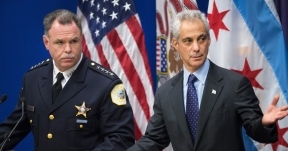 “This morning, I formally asked for his resignation,” said Emanuel. “Everyone has a role to play, and I’m just as responsible and accountable as everyone else in working toward that solution.” In the last week, protesters have urged for McCarthy’s resignation in response to the handling of the Laquan McDonald shooting in October 2014. Last week, the city released a police dashcam video of the shooting after a judge ordered it to be made public. On Tuesday, after the press conference Attorney General Lisa Madigan requested the U.S. Department of Justice’s Civil Rights Division to initiate an investigation to determine whether practices by the Chicago Police Department violate the Constitution and federal law. In a letter to U.S. Attorney General Loretta Lynch, Madigan asked for an investigation into the Chicago Police Department’s ‘use of force; the adequacy of its review; allegations of misconduct; and whether there exists a pattern or practice of discriminatory policing.’ “The shocking death of Laquan McDonald is the latest tragedy in our city that highlights serious questions about the use of unlawful and excessive force by Chicago police officers and the lack of accountability for such abuse. Trust in the Chicago Police Department is broken. Chicago cannot move ahead and rebuild trust between the police and the community without an outside, independent investigation into its police department to improve policing practices. I know the vast majority of officers in the Chicago Police Department serve with bravery, honor, and integrity. 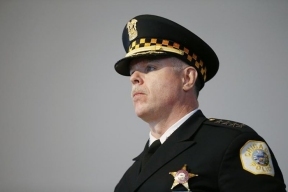 The children in all of Chicago’s communities deserve to grow up in a city in which they are protected and served by the police,” said Attorney General Lisa Madigan. Mayor Emanuel announced John Escalante as acting CPD Supt. Upon McCarthy’s resignation, several aldermen sounded off and insisted the Mayor do more.